Developed during the reign of Daoguang of the Qing Dynasty over 170 years ago, Jia Duo Bao herbal drink is renowned for effectively preventing heatiness. Jia Duo Bao is brewed with a combination of Chrysanthemum, Plumeria, Honeysuckle, Paniculata, Licorice, Prunella and Grass Jelly. It has no added preservatives or artificial colourings and it can be consumed by people of all ages. 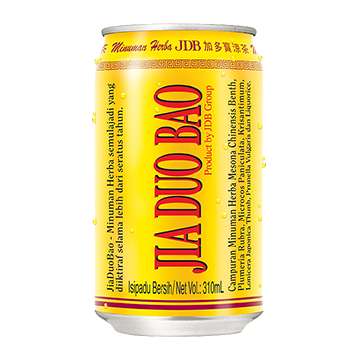 Jia Duo Bao was formerly sold under the brand Wong Lo Kat, and remains the best selling canned herbal drink in China.